On the northeastern edge of the Kathmandu Valley, Nepal, resides a community of Buddhist monks and ngakpas, diligently studying and practicing in the tradition of the Tibetan Old Translation School (Nyingmapa) and following in the footsteps of HH Kyabje Dudjom Rinpoche and the monastery’s founder, Ven. 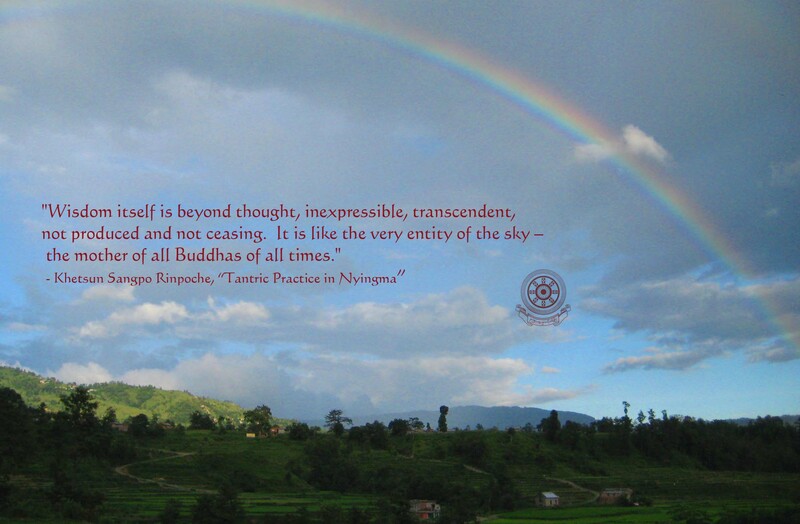 Khetsun Sangpo Rinpoche. The monks and ngakpas are gathered from a vast area reaching from southern India through Sikkim to the remote Mugum Valley of northwestern Nepal and into the Indian state of Himachel Pradesh, including the regions of Kinnaur and Spiti. Pal Ngagyur Shedrup Döjö Ling (Nyingmapa Wishfulfilling Center for Study and Practice) was first planted by Ven. Khetsun Sangpo Rinpoche on April 9, 1974, in Dalhousie, Himachel Pradesh, India, near Dharamsala, seat of His Holiness the Dalai Lama. 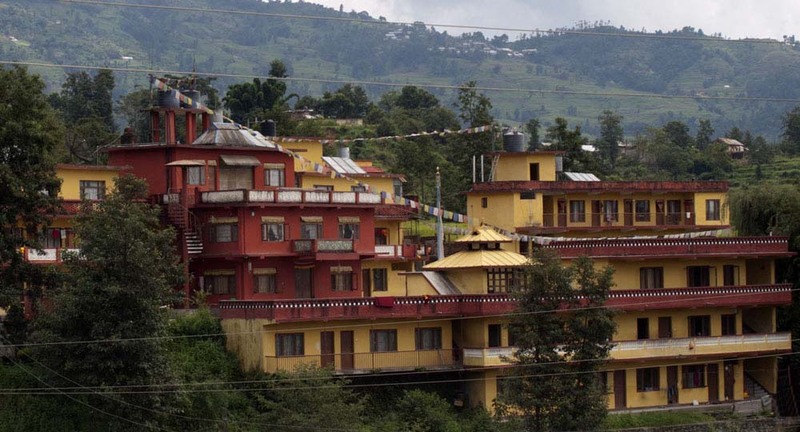 The center moved in 1975 from Dalhousie to Mussoorie, Uttar Pradesh (now Uttar Khant) and in 1977 relocated to Nepal at the behest of HH Dudjom Rinpoche. The center was located in Boudhanath, Kathmandu, until 1995 when the present monastery and school in Sundarijal was constructed. 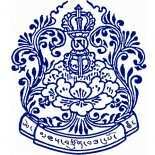 The center currently houses more than 50 monks and several ngakpas under the leadership of Ven. Khetsun Sangpo Rinpoche’s grandson and dharma heir, Tulku Jigme Norbu Rinpoche. The center is supported in large part by The Khetsun Foundation, which is organized as a 501(c)3 in the United States of America. The view from the Sundarijal gompa.